Mark Carney, the Governor of the Bank of England gave a speech on Guidance, Contingencies and Brexit at the Society of Professional Economists on the 24th May 2018. Essentially, the speech said the Bank was well prepared for any “potential path” of Brexit. 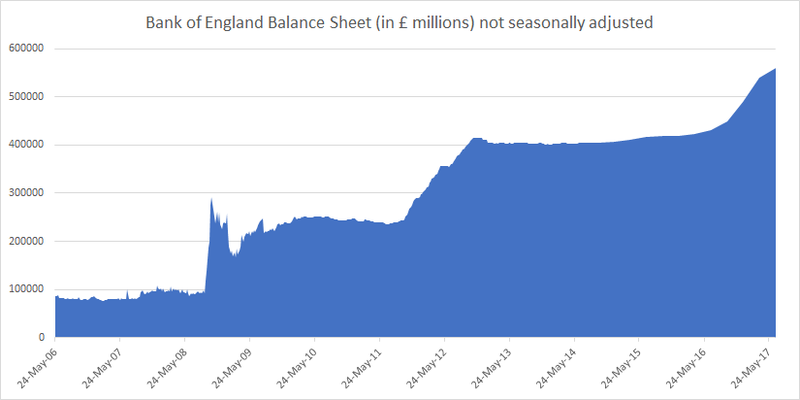 What it didn’t mention was the rapidly expanding balance sheet. 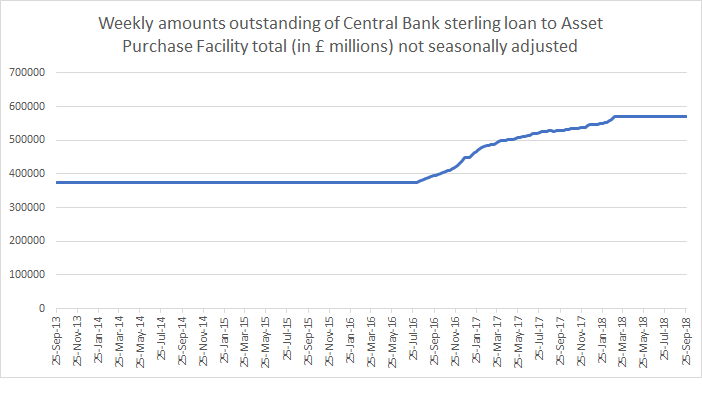 The only component that has really grown since the vote to leave the European Union is the Loan to Asset Purchase Facility, effectively Quantitative Easing by another name. Foreign Reserves and Long-term assets aren’t really expanding. 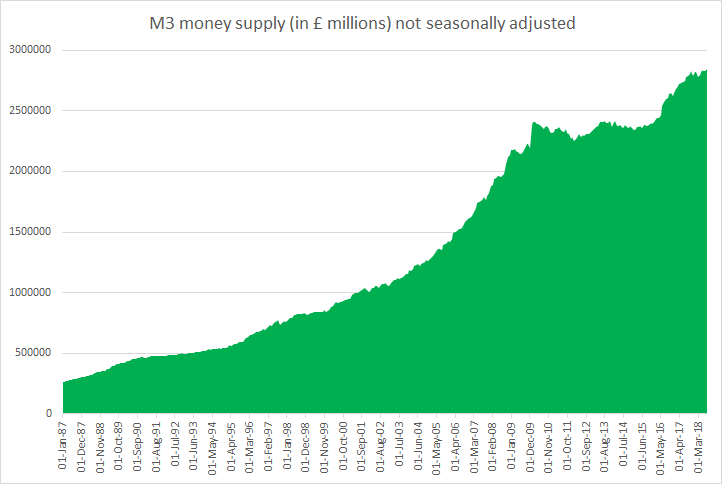 Broad Money supply (M4 and M3) isn’t expanding that rapidly which only means one thing – the Bank of England is controlling monetary policy (and money supply) more than ever. At least the Bank of England seems to be prepared for any Brexit. Our piece on The Real Economics of Brexit is almost ready and will be published over the coming weekend, it is currently too long and is being condensed. 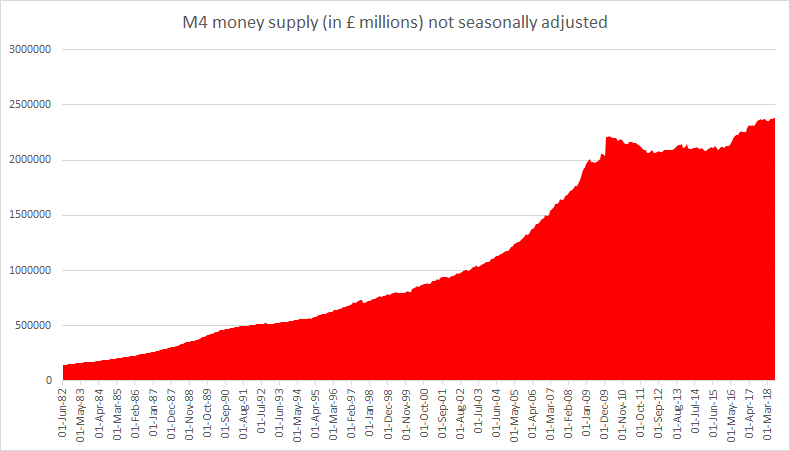 In a financial crisis is it better to hold UK pounds than dollars or euros give the better balance sheet. Or do economy of scale make it worse. ? Previous PostPrevious Are rising benchmark interest rates in the United States having any impact on mortgage or saving interest rates? Next PostNext Germany accounts for almost all the intra European Union current account surplus plus the European Union posts a record external current account surplus with the U.S.